prononcée par Sir Arthur Conan Doyle. Shelburne : Battered Silicon Dispatch Box, 1991. Unnumbered pages. 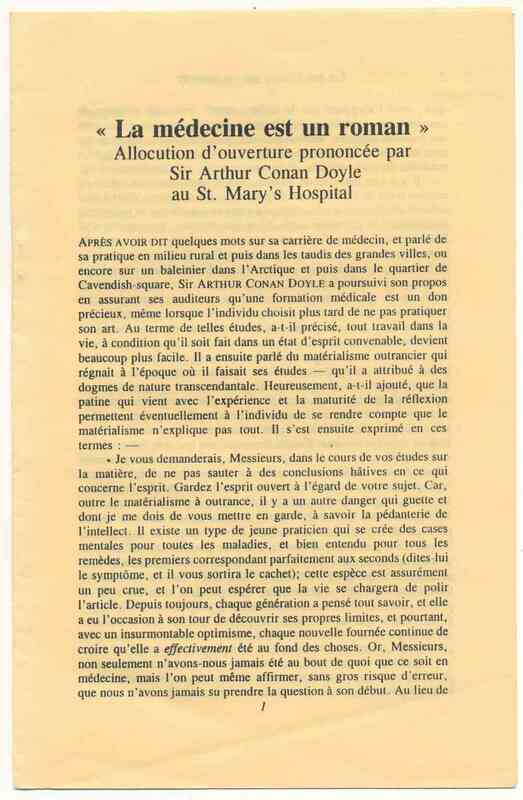 A translation into French of 'The romance of medicine', which originally appeared in the Lancet in 1910. VG with the odd crease.